Some cabinets need to fit a room and a function. 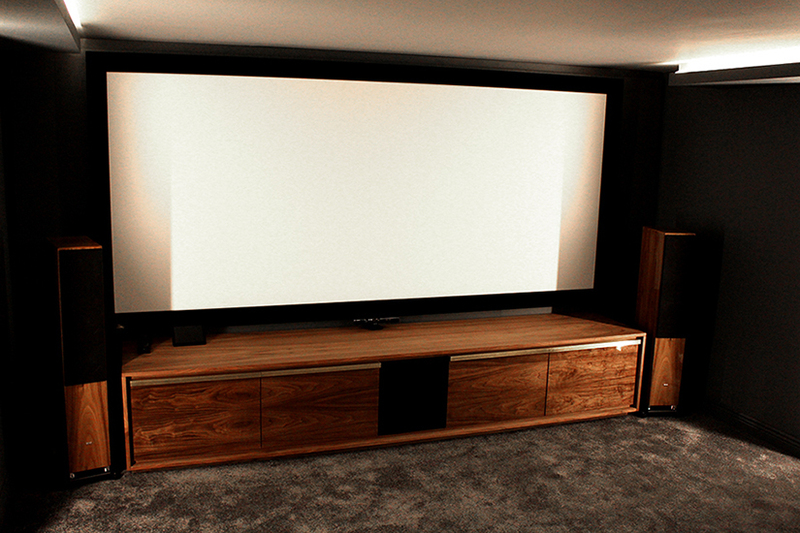 This 3 metre long unit was designed and made to fit a home cinema. 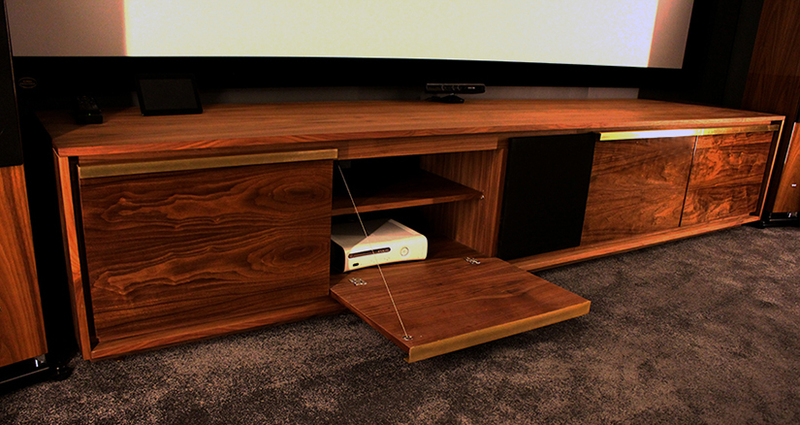 There were existing walnut veneered speakers finished in a gloss lacquer so we worked from this as a starting point. The top and side of our unit was done in a dead matt so the reflection would be zero with the screen above. 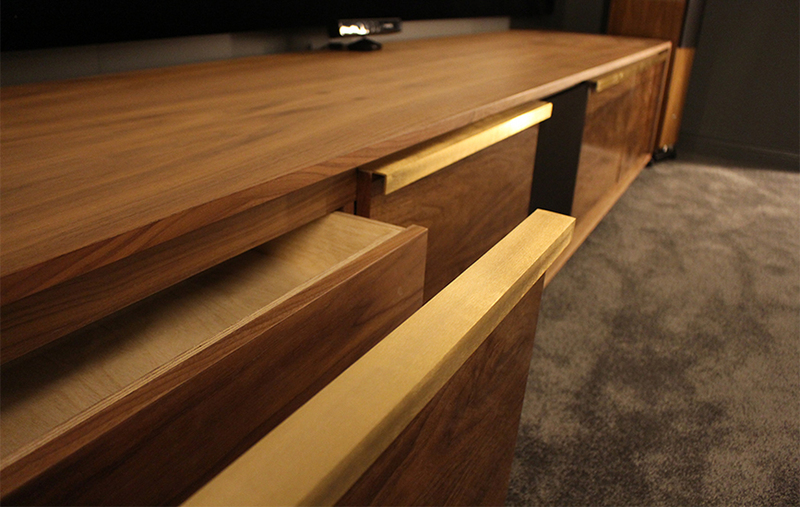 We used a wet look lacquer on the drawer fronts to match in with the speakers. All the handles are brass and we used a very coarse grit to polish them to give a really nice brushed effect. Dimensions: 600mm high, 600mm deep and 3000mm long.